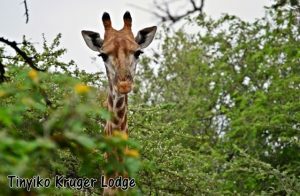 There is so much to say about Tinyiko Kruger Lodge: luxury, natural beauty and memories! Tinyiko Kruger Lodge is the brainchild of owner Caroline Nake. Caroline, a highly-acclaimed entrepreneur, recognised a need in the local accommodation market in 2010 when she travelled to the area on business. Caroline was surprised by the absence of luxury accommodation in the region at the time. Compelled to travel long distances between her accommodation and place of work during those business trips, Caroline’s vision of providing luxury accommodation for leisure and business travellers alike was born. Tinyiko is the Shangaan word for ‘gift’, and guests agree that it is aptly named. Ideally located in the heart of the African Bush, Tinyiko Kruger Lodge caters to your every whim, while you immerse yourself in nature. Laze beside the pool to a symphony of birdsong by day, and snuggle into our comfy beds by night to the lullabies of the wild. This is a bucket-list experience. Marloth Park is a unique conservation area, that is home to many species of wildlife and game, who walk freely in their natural habitat. Tinyiko guests can enjoy an unprecedented intimate experience of nature and wild animals, without sacrificing their creature comforts. This is the realisation of Caroline’s dream – a special place where guests can enjoy the wild in luxurious comfort. In Caroline’s own words: “I want our guests to have an experience that will make them return time after time.” The well-appointed, rooms are spacious, tastefully decorated and furnished to ensure your comfort. Each room has its own bathroom, private balcony, aircon, DSTV, bar fridge and coffee station, and includes breakfast. All this is enough to discourage you from leaving at all! 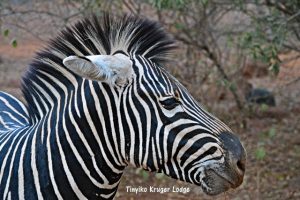 Caroline and the friendly and efficient Tinyiko Kruger Lodge team invite you to sample their hospitality. 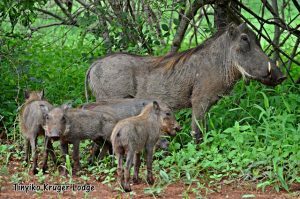 See for yourself why Tinyiko Kruger Lodge really is the place where memories last forever.